When seconds count, you want the reassurance that you’ve loaded the highest quality self-defense ammunition into your gun. 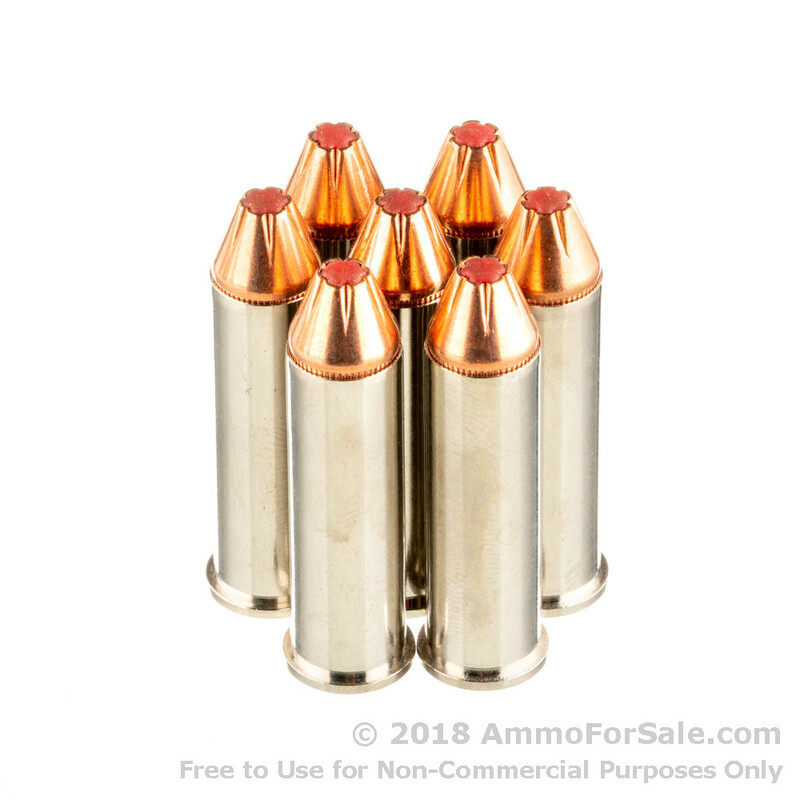 And when you use Hornady .357 125 grain JHP (jacketed hollow point) rounds, you get that amazing quality backed by Hornady’s sixty-plus years of superior standards and excellence. Back when Joyce Hornady first began manufacturing ammunition, he coined the phrase “Ten rounds through one hole.” He felt quality and skill mattered, and to this day, his standards continue to be met. In the world of personal protection, there are a few things you want, but perhaps utmost in importance is knock-down power. You want a round capable of taking down your attacker immediately – and permanently. 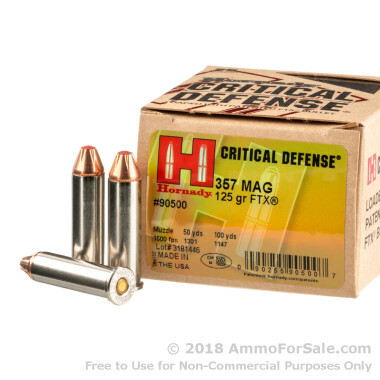 This ammunition boasts an impressive muzzle velocity of 1,500 feet per second, due in part to its lighter weight of 125 grain. But it does not lack for punch, either, coming in at a muzzle energy of 624 foot-pounds. If you carry with this round, you mean business. Using a hollow point round is an important part of self-defense. These are JHP rounds, and the jacket helps to control expansion for reliable mushrooming every time. These are also silver nickel plated, not only to prevent corrosion but also to increase visibility in poor light. And because Hornady understands how vital protecting your night vision is, they designed this ammunition to have low muzzle flash. They even use Flex Tip technology to do away with the clogging and other issues other brands are often susceptible to. 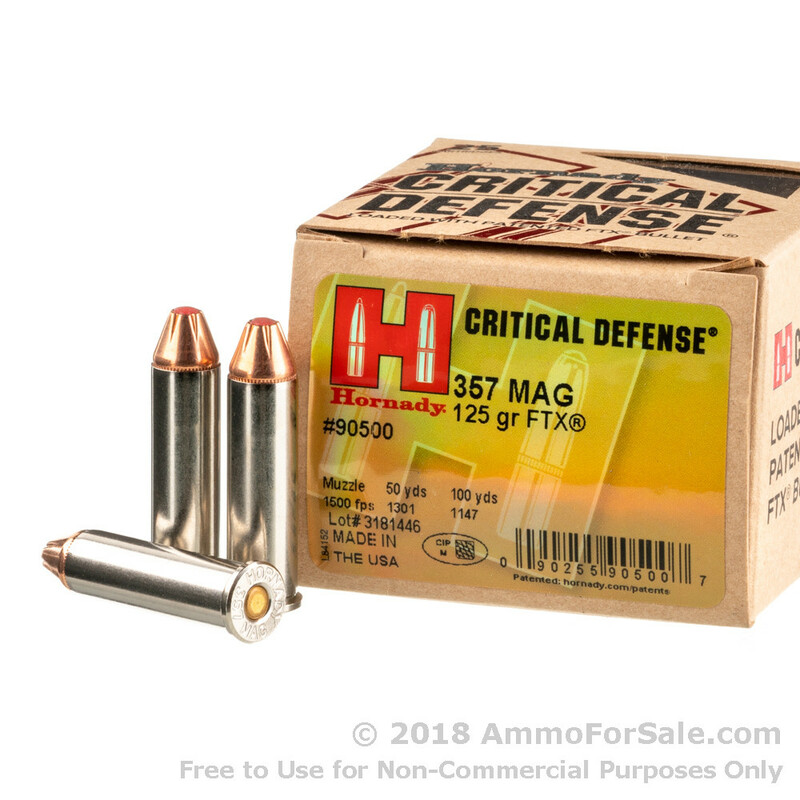 With 250 rounds in this box, you can get some dedicated practice in. 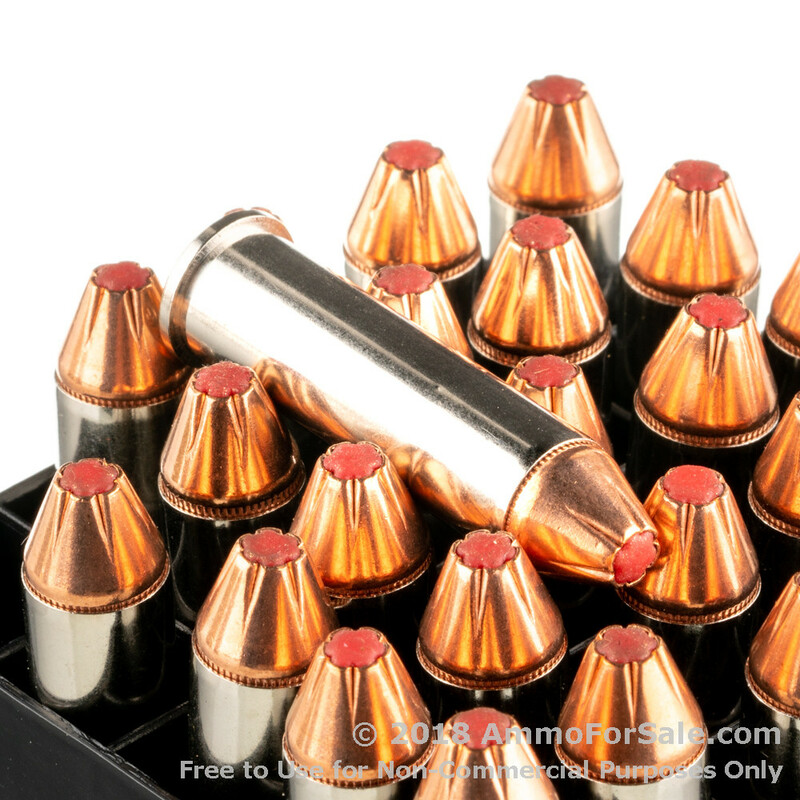 All ammunition behaves differently, and it is a must to become familiar with the feel of your self-defense rounds. Place your order for these American-made rounds today so you have enough ammunition both to train for protecting yourself and your family and to carry one of the highest-quality rounds on the market as you go about your days and nights.